Lot 246. BAKTRIA. Menander ex PNC collection. 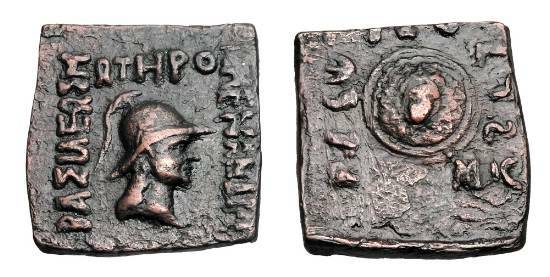 I Soter, 155-130 BC. Square Æ Hemiobol.